College of Mechanical & Electronic Engineering, Shandong University of Science & Technology, No. 579, Qianwangang Road, Qingdao, Postcard: 266590, China. This paper is devoted to solve the problem of stall flutter suppression for an absolutely divergent blade of small scale wind turbine. The blade is specially designed with absolutely divergent motions for the purpose of determining the most effective methods of active control for stall flutter suppression. A 2-DOF blade section is considered, with a simplified stall nonlinear aerodynamic model being applied. H-infinity mixed-sensitivity synthesis method with a new three-weight regulation is designed to control the time-domain instability of aeroelastic equations, with a third weight being chosen to weight complementary sensitivity for tracking problems and noise attenuation to robust stabilization in Hinfinity control. Effects on flutter suppression are investigated based on different structural and external parameters. Apparent effects of H-infinity mixed-sensitivity method are displayed in the paper, when the other common intelligent control methods fail. 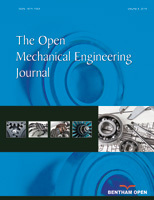 The research provides a control way for absolutely divergent turbine blade motions.